In 1835, Volcano Cosiguina violently erupted to spew ash, gases, and rocks as far north as Mexico and as far south as Columbia. In one day, the volcano lost 3500 meters in elevation, in one of the most explosive eruptions in all of the Americas. 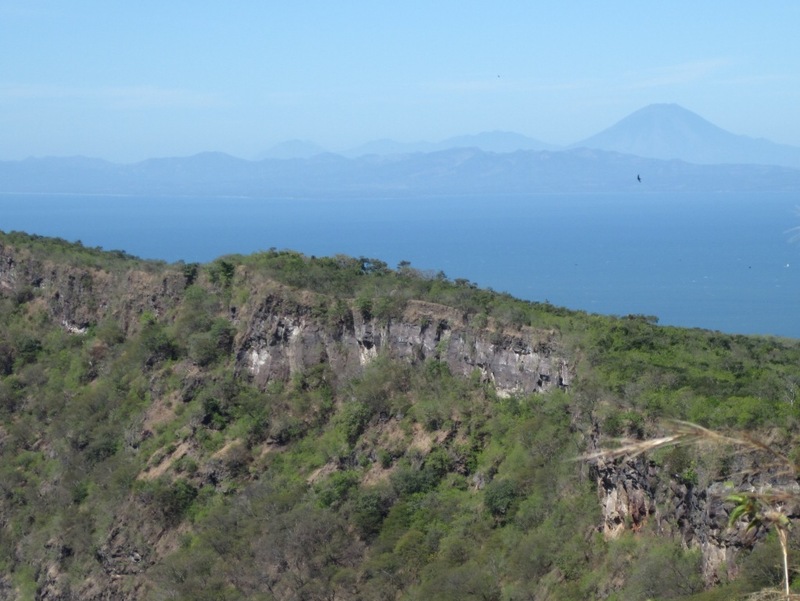 Today, Volcano Cosiguina is a protected nature reserve. It is one of the last places to see scarlet macaws and to hear howler monkeys on the Pacific Coast. The views of El Salvador, Honduras, Estero Real, the Golfo de Fonseca, and the Cordillera de los Maribios are the vast reward for the journey to the peak. Not to mention the fresh water lake and crater, which are all that remains from this powerful explosion. With Ibis, your local bilingual guides and drivers will lead you to the volcano’s peak on this challenging day tour. You will enjoy fresh fruit at the top and 360 degree views of volcanos, estuaries, and the Pacific Ocean for photos and new perspectives from this diverse country. After our relaxing descent, we will lunch in a tropical courtyard, while we tell stories about the history of the Cosiguina Peninsula and make plans for our next adventurous day. Leave early in the day to take advantage of the cool morning for our 2-3 hour, challenging ascent. At the peak, enjoy time to relax, take photos, and enjoy fresh local fruit at the rim of the volcano. Learn about the wildlife, culture, and the history of the Cosiguina Peninsula. Write in a journal, take a nap, or hike along the perimeter of the volcano to enjoy one incredible view after another. In the late morning or early afternoon, we will descend 1.5-2 hours from the rim to the town of Cosiguina to enjoy lunch at a local restaurant with our new friends and family. During your tour, you will enjoy a ”rico” meal of fresh fruit, veggies, beans, rice, plantains, and other local cuisine. All you need to bring is plenty of water and sun protection for the tropical heat! How do I get to Padre Ramos or Chinandega, Nicaragua?